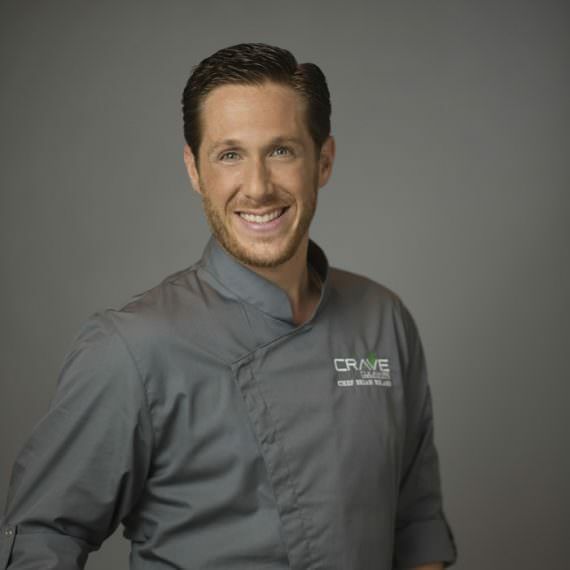 Chef Brian is the creative drive behind Crave’s unique approach. He brings an element of surprise, a big warm personality and an understanding and appreciation for building the perfect dining experience. Brian will be with you throughout the creative process and ensure you and your guests’ palates and senses are challenged. Recently the celebrated Executive Chef of M Waterfront Grille in Naples, Chef Brian owns two new innovative businesses: first, he is president of Florida Food Consultants, a networking concept designed to improve the restaurant industry, and, his second endeavor, Crave Culinaire by Chef Brian Roland, introduces an ultramodern take on catering. Crave Culinaire’s elegant services span from full event planning, to catering events, to chic, artistic private meals prepared for the most prominent palates. Chef Brian, born and raised in Princeton, NJ, graduated from The Culinary Institute of America in Hyde Park, NY. He is a Certified Chef de Cuisine (CCC) through the American Culinary Federaton (ACF) and a member of the Chaine des Rotisseurs. He worked for several well known French chefs, including Daniel Boulud at Restaurant Daniel & Café Boulud, and Patrick Verre at the TPC @ Jasna Polana. He has worked as Executive Chef in top kitchens locally, including Chops City Grill and Cru Lush Wines and Pure Food. Brian consults and collaborates with other chefs and industry professionals, often organizing events and competitions to heighten each professional’s creativity and self-improvement. He has had the opportunity to cook for some well known celebrities including Judge Judy, Brian Boitano, Franc D’Ambrosio, Randy Wayne White, Cliff Williams of AC/DC, Marylin Manson, David “Big Pappi” Ortiz, Joe Bastianich, Tim Love and Paula Deen As a celebrity, Brian has appeared on many local television segments to cook for viewers on Fox 4 and WINK News. His local presence is consistent….Emcee and Auctioneer for several events including the CAN Bachelor Auction, Tails and Tiaras Pet Gala for the Humaine Society, Derby Dash for the Naples Junior Women’s Club and the 6th, 7th & 8th Annual Boots and Boogie Bash as co-emcee with Krista Fogelsong of ABC. Brian made the cover of Naples Illustrated September 2013 as a Local Hero in the Supermen Issue. He was also awarded 40 Under 40 in Gulfshore Life Business and “Best Chef on the Move” in 2013, Best Chef for Charity in 2014 and Young Incandescent Entrepreneurs in 2015 by Florida Weekly. Crave Culinaire was voted Best Caterer in Lee and collier counties in 2014 and 2015 by Gulfshore Life magazine. He is a regular feature in Naples society magazines and newspapers such as Life in Naples, Naples Illustrated, Entrée Magazine, Fifth Avenue Magazine, Plate Magazine, Grandeur Magazine, Naples Daily News, The News Press, Florida Weekly, Flavor on the Menu, and was proud to be voted Gulfshore Life’s 2011 Hottest Eligible Bachelor. Chef Brian Roland considers himself an artist whose medium is food. More than a former Executive Chef at one of Naples most prestigious restaurants, he is a self-made man with innovative businesses of his own. He is a friend, a brother, a loving son, and a truly giving soul. His philanthropic contributions have touched thousands, as he has raised money in community outreach events to assist local charities such as Literacy for Collier, CAN, Red Cross, Hope for Haiti, Foster Care Council, Children’s Hospital, Impact Initiative, Friends of Foster Children, PACE, Children’s Museum of Naples (C’MON ), St Matthew’s House, NCEF, Holocaust Museum, Naples Junior Womens Club, Make a Wish Southern Florida, Humaine Society, Neighborhood Health Clinic, among many others. Brian also became a founding member of the Friends of the Foundation team committee in early 2013 to support NCEF. Chef Brian enjoys golf, traveling with family, motorcycle riding, singing, dancing, and naturally—cooking.